More and more people would like the healthy way of life and choose safer food. We also prefer to do the things that we like, to develop and provide anything healthy for our life. no need worry about toxic substance to harm ourselves. What you need to do is enjoying your cake making experience and your delicious dessert. These molds are reusable and will last long time, not easily deformed. 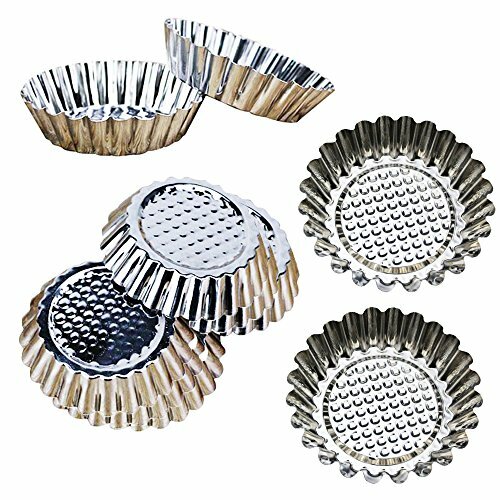 WIDE USAGE: Perfect for small cakes, pies, muffin cupcakes, cheese cakes, chicken and turkey pot pie, egg tarts, souffles, custard cakes, cookies, chocolate, puddings, jello, quiche, Cheesecakes and others dessert etc. If you have any questions about this product by Guestway, contact us by completing and submitting the form below. If you are looking for a specif part number, please include it with your message.